DIY Nails: Tips & Tutorials: I'm In Love! I decided to try this colour on a whim, and I'm so glad I did! It is one of my new favorites! It's "Iceberg Lotus" by Nicole by O.P.I. 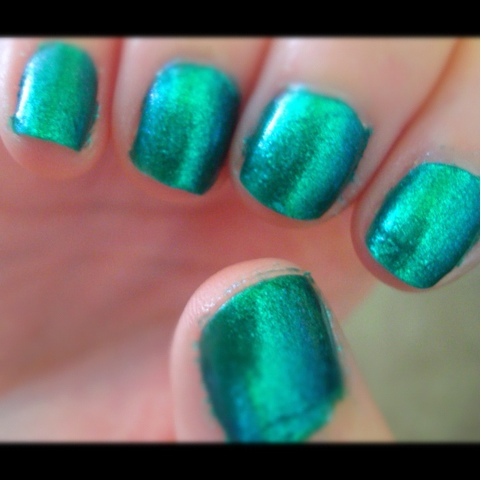 It's a shimmery bluish green colour, and it is a very sparkly mix. I love it because it has the perfect amount of shine and shimmer!